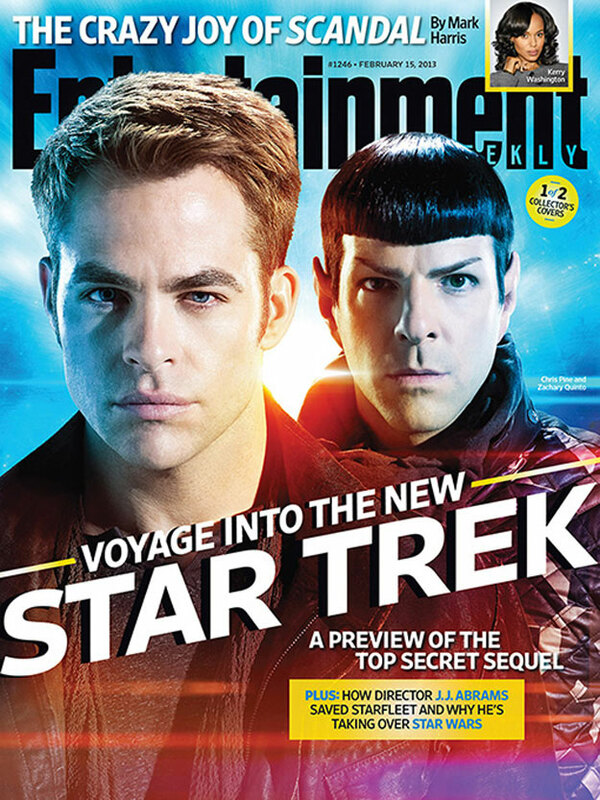 Two special edition covers for the February 15th issue of Entertainment Weekly feature stars of STAR TREK INTO DARKNESS, Chris Pine, Zachary Quinto and Benedict Cumberbatch. 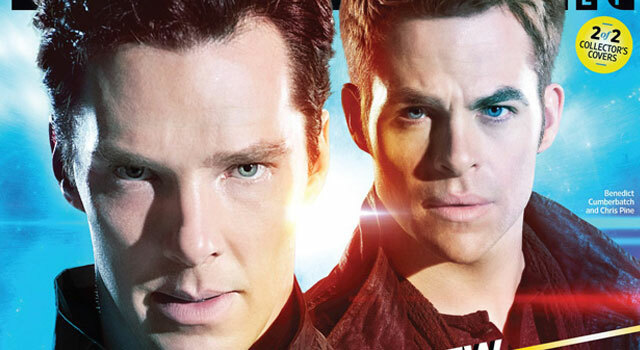 The first cover features Chris Pine as Kirk with Zachary Quinto as Spock behind him, while the alternate cover features Benedict Cumberbatch as John Harrison with Pine behind him. 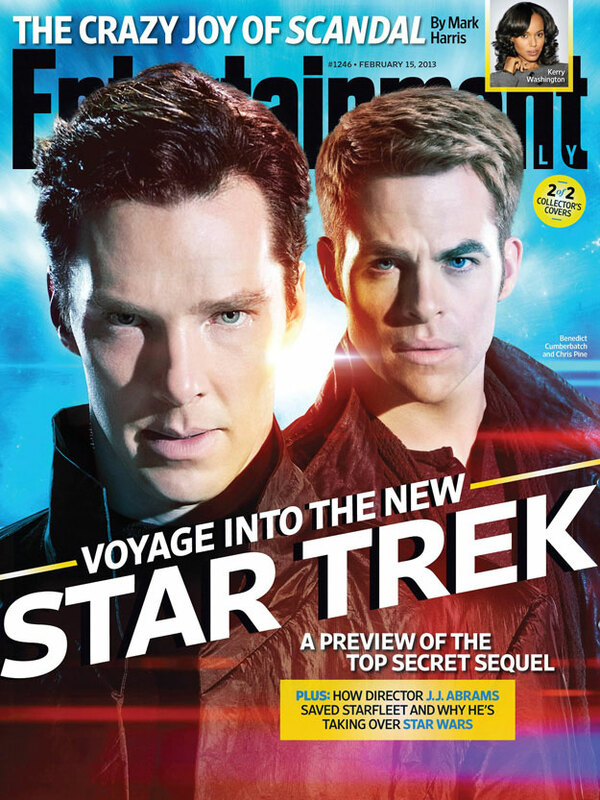 Both versions will be available on newsstands this Friday (February 8th). Check out the two collector’s covers below.